Knolly and Desmond, from my backlog of sketches from over this past year. I like this one. I love how you do badgers. That's not horse play. that's Badger play. :) I like this one. 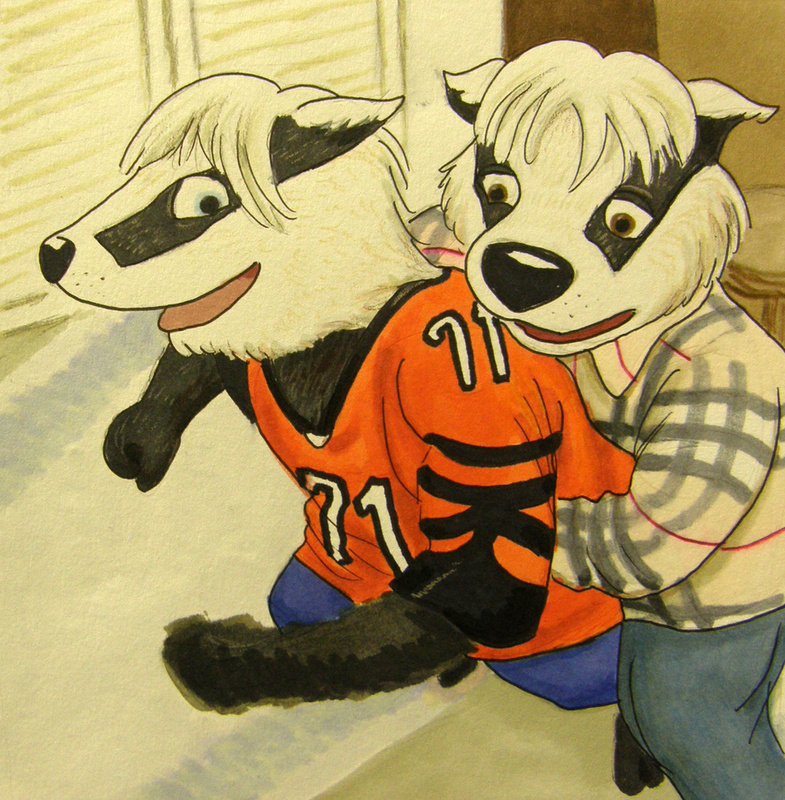 I love how you do badgers. Why do artists keep calling finished pieces "sketches"? It's not really. It was from a stack of sketches I decided to take all the way. Just a case of 'shoulda bin clearer'. I really think it depends on what the artist decides is actually finished or not, a piece of artwork can look like sketch in their eyes but look completely finished to the average viewer. Some artists might view a sketch as something they could have done better, or added more to it, but decided against it to finish the drawing faster without adding the finishing touches. Or maybe they're so good, that they consider a finished work a sketch.